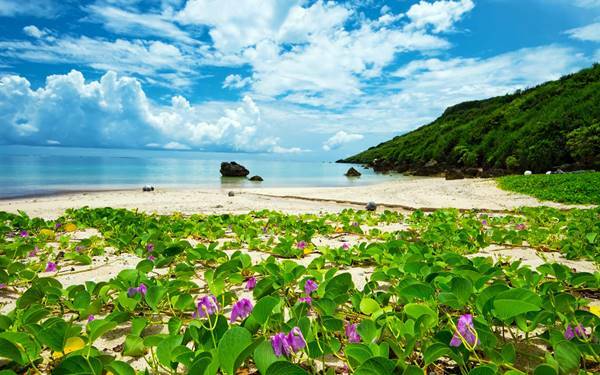 If you’re in the process of planning a Bali family holiday, there are few things you need to know. Yep, you can. There are a number of baby hire services that not only hire out prams, cots, pool fences and hire chairs, they also offer nanny and babysitting services – all this and more makes packing for a Bali family holiday super easy. These same services can arrange nappies, formula, baby food and even a personal chef if your ankle biter is a really fussy eater. Sounds awesome, right? It does to me. Why? Because Joey, my little boy has been waking up at 5am. Every. Single. Day. We just moved house. Work is crazy. Life is hectic. And I need a goddamn holiday. I have been scouring the interwebs looking for places we could conceivably take our brood that’s within our tiny little budget. And guess what? 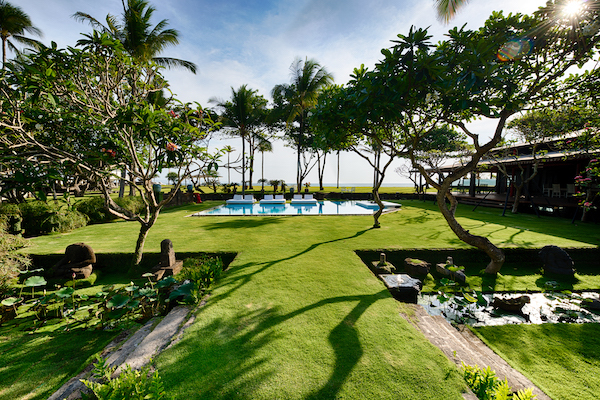 Bali villas are on the money. They are not only luxe and relaxing-looking, they are also very wallet-friendly to the breeders among us. 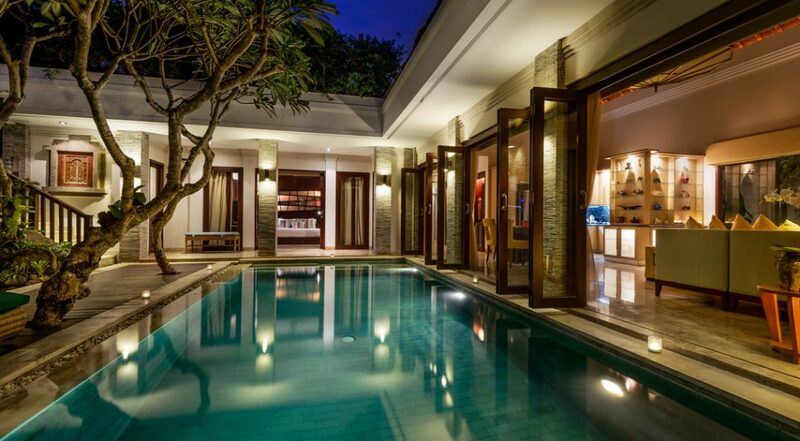 Make sure you check out the team at Bali Villa Escapes if the sound of holidaying in a your own villa looks inviting. They have an office in Sydney, as well as Bali, which increases the level of confidence when booking. It’s always good to know that you’re dealing with a legitimate and established villa management agency. There are scams online, I know, but these guys are legit. 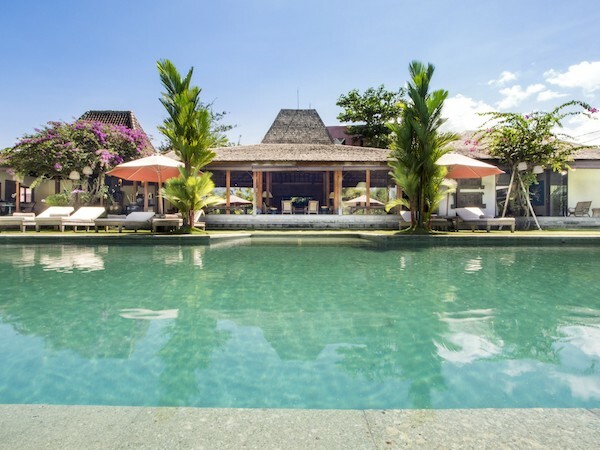 If you’re after something at the posh end of the beach (meaning near day spas, shops and restaurants like La Lucciola), check out the Seminyak villas. It can get a bit crazy in Seminyak with so many tourists going there but most of the villas are private and quiet which is great if you have little ones and don’t want to hear motor bikes or local traffic. If you want surf, night life (hey, baby sitters!) and affordable local restaurants, check out the family-friendly Canggu villas. Funnily enough, one of the worst holidays of my life was to Bali (I got really sick and spent the whole time fighting with my then partner). And then one of the best holidays of my life was also to Bali. My now husband and I stayed in a villa with a butler, ate nasi goreng, drank duty-free Bacardi and swam in our private plunge pool under a full moon. It was magical. 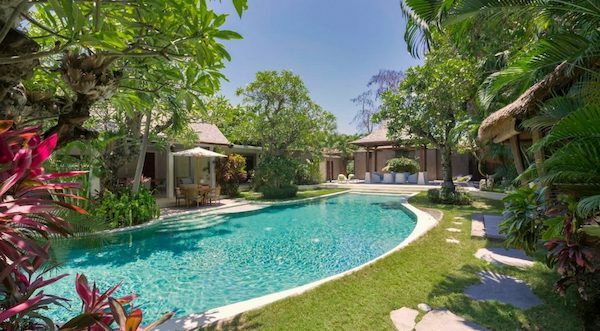 I know it would be very different with three children but man, if I could go and stay in a Bali villa today, I would. At least the nasi goreng is still the same! What have your Bali family holidays been like? Looking for more info about planning a Bali family holiday? Click here.